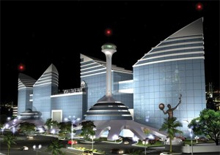 TC-ONE Properties and Projects (India) Pvt Ltd is a leading builders in Calicut. Our services include flat buildings, apartment building, real estate and interior designing and rental, resale etc. The buyers have the choice of both. Either to revamp the old structure or demolish it completely and reconstruct the structure according to their plan. The above property on B.C. Road at Beypore is up for sale. It is covered with a compound wall, a small well with sufficient water to fetch, a corner area in a colony of 35 to 40 independent houses. 2 bedroom apartment for sale in a brand new building. Only one flat left out of five. Good ventilated,modern apartment with all amenities. 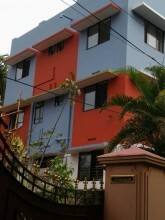 50 mtrs from main road, Walking distance from bus stand, shopping malls,schools, banks & hospitals. Fresh water well. Away from noise. Execellent locality. Arkitecture studio provides a comprehensive architectural and interior design service for residential and commercial properties. Our experienced team is led by world-class experts from the fields of decorative and structural design. We place absolute importance on understanding the particular needs and wishes of our clients for a personalized service delivered to an uncompromisingly high standard.Our constant goal is flawless service. Guided by your requests and routines, transform any property into a perfect living space. Manufacturers Of Premium Quality Clay Roofing Tiles, Ceiling Tiles, Ridges And Other Allied Clay Products.